Caroline picked out the perfect setting for her wedding day with Chris. She also decided it was the best place for their engagement photos. Stella Springs is located in southern Missouri out in the middle of farm country! 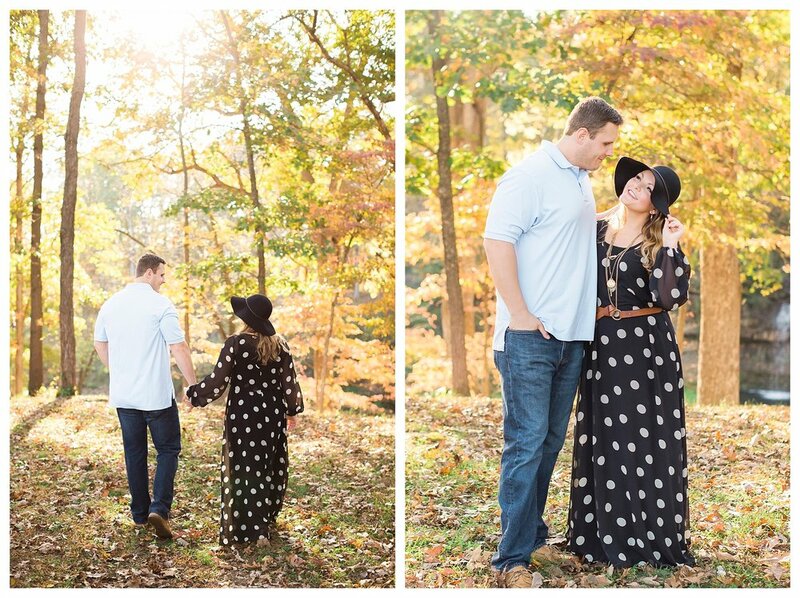 I'm in love with Caroline's polka dot dress and black sun hat! It set perfectly again the red and orange Fall trees. I can definitely tell that this couple will be a lot of fun on their wedding day by the way they laughed and joked all afternoon. I can't wait!